By Anil Menon, Global President, Smart+Connected Communities, Cisco Systems Inc.
Digital disruption is transforming the way we envision our cities. As we embark on the Fourth Industrial Revolution, we must challenge traditional ways of thinking about how we manage our cities and our resources. Do rubbish trucks need to stop at every bin every week? How can we stop leaks faster so that we don’t waste so much water? Do we still need to own our own cars? Cities are under siege: despite crumbling infrastructure, they must accommodate thousands of new people each year who move in search of better jobs, services and culture. Cities currently consume 60% of the world’s energy and generate 70% of greenhouse gas emissions and global waste. Demands on them continue to grow, while budgets continue to shrink. We can no longer afford – environmentally, politically or economically – to ignore the toll our consumption is having on the planet. In the US, for instance, roughly 70% of car trips are under two miles. What if we didn’t use cars for such short journeys and walked, biked or used other public or private transport alternatives? If cities enabled alternatives (perhaps via technology), we could save an estimated $900 million in fuel costs, car maintenance and tyre replacement; reduce CO2 emissions by about 2 million metric tons; and take as many as 400,000 cars off the road each year, according to the US Environmental Protection Agency. Similarly, what if work were shifted outside city centres to smart work centres, as Amsterdam did a number of years ago, with significant cost reductions? These shifts result in better use of resources, reduce the use of expensive inner-city real estate, reduce traffic and pollution, and allow employees to work in environments outside the city centre or from home. A new global agenda for reining in runaway consumption and waste was set out in 2016 at the Habitat III Conference in Quito, Ecuador. Its aim is to implement the latest Sustainable Development Goals, agreed upon by the 193 member states of the United Nations, which consist of 17 specific targets for eradicating poverty, promoting economic growth and prosperity, improving health and education and protecting the planet. 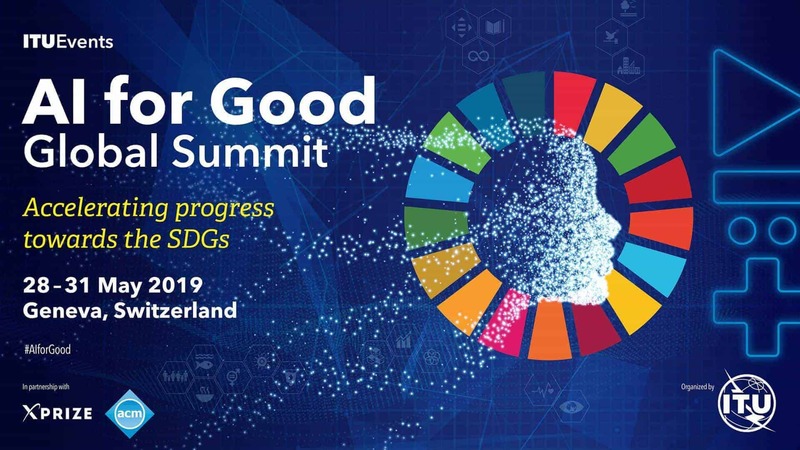 The Sustainable Development Goals encourage governments and the private sector to focus on the three dimensions of sustainable development: economic prosperity, social inclusion and environmental sustainability. Cisco’s Smart+Connected Communities initiative works with cities and communities across the globe to help them assess how effectively their systems – human, mechanical and digital – are operating, and how to make them more efficient, all while maintaining the distinctions that make each city unique. They can then turn that information into action, and reduce greenhouse gas and other emissions with better mobility solutions; or waste and water management; or by reusing and recycling materials by integrating legacy systems into new solutions; or upgrading only those components that need replacing. Smart city solutions depend on the Internet of Things – millions of devices connected to a network. And the network enables data-gathering from those devices enabling products, components and materials to be tracked for efficiency and operational health, as well as reuse and recovery. New business and engagement models are made possible by denser connections and more timely data. These models have also expanded the potential for sharing information between city agencies, city leaders, residents, visitors and businesses. It’s also important that we consider how artificial intelligence, machine learning, augmented and virtual reality and distributed ledger technologies, such as blockchain, can have an impact in cities and contribute to a circular economy. For instance, could “cobotics” (robots that collaborate with people) change entry level job opportunities? Could 3D printing subvert mass production? Could distributed ledger systems change how we govern voting or medical records management? And will these, in turn, create major shifts in the systems that underlie the economy. Sustainability also implies resilience, the capacity to recover quickly from difficulties. Data-aggregation and sharing technologies can help cities assess risk, develop contingencies and make more effective decisions based on real-time data during natural and manmade disasters to improve the ways they protect their residents and infrastructure and mitigate impact. In Paris, Cisco is working with our partner Breezometer to help the city collect traffic, noise and air pollution data to inform its urban planning efforts. Our work in Copenhagen is helping that city reach its goal of being carbon neutral by 2025. Our work with Jaipur, Adelaide, and Las Vegas focus on ways to improve daily life, be it through better citizen engagement, reduced energy use and costs, or increased street safety for walkers, bikers and drivers. This technology can provide real-time information to first responders on which hospitals can immediately treat numbers of injured disaster victims, or which homeless shelters have available beds. The principles of redefinition, restoration and regeneration also shape Cisco’s agenda for its work environments. In 2010, we undertook a commitment to reverse logistics chains – a way to optimise product returns that unlocks their remaining value. In the past fiscal year, 11,400 metric tons of product were returned to Cisco for reuse, refurbishment or recycling. To improve the returns process, Cisco is piloting a new program called Send IT Back designed to improve the customer return experience and actually address some of the commercial issues that result in those returns. During that year, 80% of the electricity we used globally came from renewable sources, and we achieved an important environmental goal to reduce direct and indirect greenhouse gas emissions by 40% compared with levels in 2007. We’re now focused on the next goal: reducing emissions by 60% by 2022. It is important to recognise that technology can provide not just the answers to the problems we face but – even more fundamentally – change the questions we ask to truly understand our options. With new data sets available and new ways to view them together, we can now assess whether we really need to perform the resource-intensive activities to which we have become accustomed. At the World Economic Forum gathering in Davos in January, Cisco CEO Chuck Robbins signed on to the Platform for Accelerating the Circular Economy (PACE) pledge with a number of other technology leaders as well as the Global Environment Facility, UN Environment, the Ellen MacArthur Foundation, Accenture Strategy, the International Resource Panel, and the Circle Economy, reflecting their commitment to addressing new ways of thinking about technology, business and financing models, equipment waste, emissions and component reuse. An example of how we tap into new ways of thinking about sustainability and resilience is the Cisco Circular Economy Challenge at the Arizona State University WP Carey Graduate School of Business. The challenge, which launched in early February, invites teams of graduate students to answer the question: “How might new, disruptive technologies help us transition from our linear ‘take, make, waste’ economy toward a system that is more circular and sustainable over the long-term?” We look forward to hearing what ideas these young minds produce when the challenge closes on 23 March 2018. Stay tuned. The opinions expressed are solely the author’s and may not reflect those of ITU. The original version of this article first appeared on World Economic Forum Agenda.